Pilar Morgan is founder and owner of Vocal Intensive Studios and Principal Voice Teacher of Vocal Intensive Studios, New York. 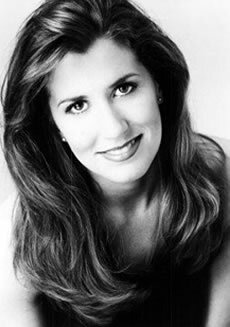 She has performed with Nashville Opera, Augusta Opera, Nevada Opera, Shreveport Opera, Seagle Music Colony and the Dicapo Opera companies. Her credits include Pitti-Sing in The Mikado, Mrs. Lovett in Sweeney Todd, Guinevere in Camelot, Princess Fred in Once Upon a Mattress, Maria in The Sound of Music, the Baker’s Wife in Into the Woods, Frumah Sarah in Fiddler on the Roof, Carrie Pipperidge in Carousel, Prince Orlovsky in Die Fledermaus, and Silver Dollar in the Ballad of Baby Doe, Jenny in The Threepenny Opera and Dulcinea in the Man of La Mancha as well as numerous performances of Side by Side Sondheim. Pilar originated the role of Emily in Surrender Road written by Grammy award winning songwriter, Marcus Hummon with the Nashville Opera Company. She can be seen in the PBS documentary, Boxing with the Bard the Making of Surrender Road. Pilar is a graduate of Manhattan School of Music and has her Professional Certificate in Vocal Pedagogy from the Boston Conservatory. 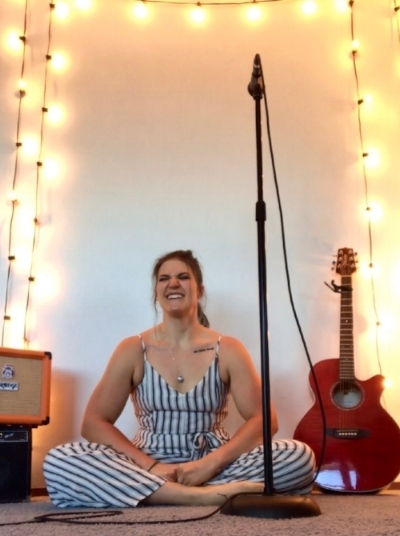 Pilar teaches vocal workshops for the yoga and fitness industry including Willpower and Grace to help group fitness teachers learn to project and protect the voice. She has also worked with LGBT community with transgender voice change and development. Pilar was a voice consultant for the Skyelab recording studio in Times Square, Manhattan and continues to work with producers and studios throughout Colorado and New York. Pilar relishes her role as a teacher, developing the voice and discovering the new talent working with kids to adult students. Pilar personalizes her teaching to enhance and develop one's natural voice and abilities. She specializes in functional voice training with emphasis in contemporary and commercial pedagogy. She is a member of NATS -National Association of Teachers of Singing. In 2007, Pilar began teaching Vocal Intensive workshops in New York City and in 2009 opened her voice studio in Denver. Pilar divides her time between Denver and New York. Cassy Goyette serves as Acting Director and Primary Voice Teacher of Vocal Intensive Studios, Colorado. As Director, she has produced and directed many of the VIS semester performances. She also serves as a student liaison in charge of artistic programming based on student interest. As a performer and recording artist herself she sought Pilar’s technique to protect and sustain her voice while meeting the demands of an active performer. She also studied with Pilar for years to develop her own style of teaching based on functional training and pedagogy. She specializes in both contemporary and commercial technique. She has pursued studies at the University of Colorado, Boulder and University of Colorado, Denver. Cassy wrote and recorded her EP called Graffiti Hearts, on iTunes and Spotify. She has performed her own songs around town, most notably at the Red Rocks amphitheater for Prostate Cancer Awareness. She is currently in the process of writing and recording her second album. Cassy has an intense passion and dedication to music of all kinds, and she plays flute, guitar and piano. Cassy enjoys teaching students of all ages and levels, helping to cultivate a love of singing with strong vocal technique and passion for the art of music. Melissa Olivas is the newest voice teacher at VIS Colorado. She was a voice and piano teacher for the Colorado based Youth on Record program Soundseeds. Through this program she helped to develop vocals for popular Colorado touring artists as well as helped with marketing. As a performer and recording artist, Melissa has recorded background vocals for, The Flobots, The Fray, The Wheelchair Camp Band, The Youth on Record Band, and Magic Giant. She also worked with producer Shawn King in a national commercial jingle. Melissa is currently writing and recording her first album and recently released her new single “Just For Right Now” in June. She performs at popular venues throughout Colorado while also attending the University of Colorado at Denver. Melissa also plays guitar, piano, ukulele, and drums. She is passionate about to helping students reach their full artistic potential and loves to work with kids to adult students.